I’m sure many of you have heard of Osteoarthritis or OA, but what is it REALLY? To sum it up, osteoarthritis is when the cartilage in the joint begins to break down. Cartilage is a very important piece of our joint make up because it serves as a cushion between the bones, allowing them to move alongside one another without pain. When the cartilage begins to break down, our bones move closer and closer to one another leading to actual bone-on-bone contact in severe cases. This causes — oh you guessed it, pain. Other symptoms many patients will notice are swelling, stiffness, and sometimes, bony lumps. 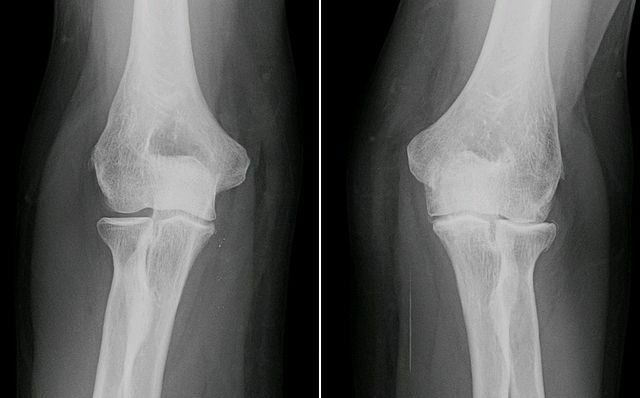 The most common areas affected by osteoarthritis are the knees and hips. You can however have other joints affected. Now that we have the basics out of the way, let’s talk about what can be done to help decrease those symptoms. We can’t talk about osteoarthritis without talking diet and lifestyle. First and foremost, eating the right foods can help decrease pain and support a healthy weight. Obesity and being overweight is one of the top contributors to joint pain and a risk factor for osteoarthritis. So, what specific foods should I eat? Avocado- early research shows avocado reduces the amount of NSAID (nonsteroidal anti-inflammatory drugs ) use in patients with OA, stimulates collagen growth and decreases inflammation. Olive oil- helps to reduce inflammation and support lubricin expression (the lubricant in the joints). Fish- cold-water fish such as salmon or mackerel are high in omega 3 fatty acids. These fats are amazing for many different reasons in support of good health, but for osteoarthritis they work to reduce pain and stiffness by decreasing inflammation. Vegetables- All vegetables, but specifically and most importantly: deep green vegetables, bell peppers, broccoli and brussel sprouts. These vegetables are high in vitamin C which helps build important tissues for joint health. A diet high in vegetables also decreases inflammation and subsequent pains, provides anti-oxidants and supports healthy weight. Arnica- works by relieving pain and inflammation. Capsaicin- when applied 3x per day, can reduce pain by 50%. Acupuncture- this type of treatment has been useful in decreasing pain, specifically knee pain, in patients with osteoarthritis. There are so many other considerations when treating osteoarthritis from a naturopathic perspective. Some of the other options for treatment include ginger, boswellia, curcumin, eggshell membrane, Salix alba, glucosamine, chondroitin, SAMe, GLA, among others. It is important to individualize treatment and decide with your health care provider what is best for you. To learn more, book an appointment with your Naturopathic Doctor to discuss options for treatment. by Dr. Jacqueline Merritt, N.D.